Central Campus complements and extends the programs of Central Iowa Schools, offering unique academic and career opportunities that direct, inspire, and motivate a diverse group of students. In 1982, Des Moines Public Schools responded to the needs of students by evolving Des Moines Technical High School into Central Campus, a Regional Academy serving students throughout central Iowa. By doing so, high quality courses not otherwise available could be offered to all students of the Des Moines area. The Regional Academy model of Central Campus allows students to remain part of their home schools and school activities while expanding educational opportunities. The staff and administration of Central Campus recognize and appreciate the efforts of community schools in Des Moines and the greater Des Moines area to allow their students the opportunities available through Central Campus. 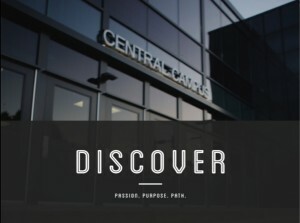 Discover Central Campus and discover your future. Nine advance career academies with three dozen specialized programs offer multiple pathways to college and career readiness. Explore international learning experiences and earn nationally recognized advanced career certificates before high school graduation. At Central Campus, you are the best of the best and we’re dedicated to making your best even better. Central Campus serves as the Premier Regional Academy within the Des Moines Public Schools. Over two thousand students from dozens of Iowa High Schools experience our Advance Career Training Programs. With academic planning and support in high school, students have the opportunity to earn community college credit and two-year Associates Degree at no extra cost. Located at the heart of the model district for urban education, Central Campus offers hands on, real world work-based educational programs to a highly diverse community and surrounding areas. One of our greatest strengths is the friendships and networking of students from diverse backgrounds and communities. Des Moines Public Schools dedicates itself to excelling at unique and technologically advanced opportunities for all learners. Central Campus commits itself to providing equal access and prospects through rigorous academic and career training experiences for all.